With all the media attention, and 80 zillion products on store shelves, you’ve probably gotten the message about Omega-3 fatty acids. But did you know that they’re just as important for cats and dogs as for people? I’ve been a big fan of Omega-3s for many years. In fact, I even served on the Board of Advisors for Nordic Naturals. I still believe that they are the highest quality fish-based products anywhere on earth. Then krill oil came along, but my research found problems with where and how it is harvested that I didn’t much like; although the smaller capsules were appealing. 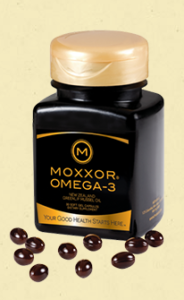 Then…a few years ago, I was introduced to another form of Omega-3, the oil from New Zealand green lip mussels (GLM), produced by a company called MOXXOR. I used GLM products in the past, and they were very effective, especially for older kitties, but I was skeptical of this new product, having had such great results with Nordic fish oil. But I gave GLM oil a good trial for myself and my cats; and I’ve taken a hard look at the data (pro and con). I must say, I am very impressed. For example, I noticed an increase in my overall energy within just a few days. 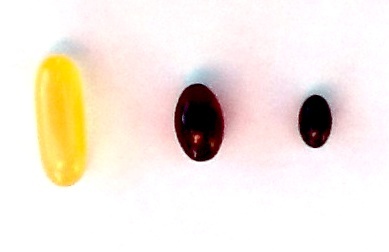 The teeny tiny GLM capsules are very easy to take, or to give a pet by mouth. Or (if your cat is as uncooperative as mine about taking pills), you can puncture the capsule and squeeze the oil into food; the taste is definitely ocean, but it’s not strongly fishy. 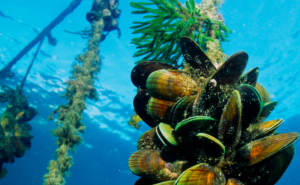 These mussels are raised in clean waters, are completely sustainable, and are more humanely produced than fish products. (The mussels are essentially “chilled to death,” whereas fish are pulled from the water and slowly crushed or suffocated with thousands of their fellows). Its mild taste and superior antioxidant characteristics have me convinced–and that’s not an easy thing to do! New Zealand green lip mussels (Perna canaliculus) are grown in the pristine Marlborough Sounds, on the eastern coast, under a Sustainable Farming Program that ensures the long term viability of the GLM industry, with minimum impact on the environment. Green lip mussels are bi-valve mollusks known to be a rich source of many fatty acids. One of GLM’s unique array of Omega 3s is ETA (eicosatetraenoic acid). ETA, which is not found in any other foods to any measurable degree, has been shown to have extremely powerful ant-inflammatory properties. MOXXOR is a premier producer of New Zealand green lip mussel oil: it is organic; sustainably grown; cold-extracted; and certified free of mercury and other toxins and pollutants. In order to ensure freshness, the mussels grown for MOXXOR are processed in a facility built on the shores of the Marlborough sound where they are grown and harvested. In addition, the other two components of MOXXOR, Sauvignon Blanc grape seed husk extract* and kiwifruit seed oil provide additional antioxidant power, including all 8 components of the Vitamin E array. These ingredients safeguard MOXXOR’s freshness and stability by scavenging the free radicals that cause rancidity. Here’s a short (4:31) video about how the mussels are grown and processed. I think it’s quite fascinating, although I am a geek at heart, so this sort of thing appeals to me! MOXXOR’s cold, solvent-free processing makes it more bioavailable than other products. It stays in its natural form. This, as well as the absence of fillers or carrier oils, is what allows the very small GLM oil capsule to contain more antioxidant power than the larger krill and fish oil capsules. MOXXOR comes in 30- and 60-capsule sizes. The human dose is one capsule twice a day; so 60 capsules is one month’s supply for a human or giant breed dog. Smaller pets need much less. Once they’re “caught up” with any Omega-3 deficiency, a cat or small dog can take one capsule 3 or 4 times a week, so a bottle can last several months. Anyway, just click here to go to the MOXXOR website or, if the link isn’t working, try: www.mymoxxor.com/holisticvet. MOXXOR just introduced a 30-capsule bottle for pets. Healthy cats and small dogs only need one capsule every 2 or 3 days, so this is an ideal way to try it without spending a small fortune! NOTE: The only other brand of Omega-3 supplements that I trust is Nordic Naturals. They have a variety of products and sizes for pets. No matter what you decide, I urge you to get a good Omega-3 product and start using it now! It’s that important! * There have been reports of grape toxicity in dogs, but this is not a risk with MOXXOR. Click here to find out why. ← Botanical (Herbal) Medicine Needs Your Help!